but now is headed to federal prison for 15 months after a federal appeals court in Miami rejected his claim that the “restore discs” he made to extend computers’ lives had no financial value. Instead ruling that he had infringed on Microsoft Corp. to the tune of $700,000. The appeals court upheld a federal district judge’s ruling that the discs Eric Lundgren made to restore Microsoft operating systems had a value of $25 apiece, even though the software they contained could be downloaded free and the discs could only be used on computers that already had a valid Microsoft license. The U.S. 11th Circuit Court of Appeals initially granted Lundgren an emergency stay of his prison sentence, shortly before he was to surrender, but then affirmed his original 15-month sentence and $50,000 fine without hearing oral argument in a ruling issued April 11.
using discarded parts to do things such as construct an electric car, which in a test far outdistanced a Tesla on a single charge. He built the first “electronic hybrid recycling” facility in the United States, which turns discarded cellphones and other electronics into functional devices, slowing the stream of harmful chemicals and metals contained in those devices into landfills and the environment. 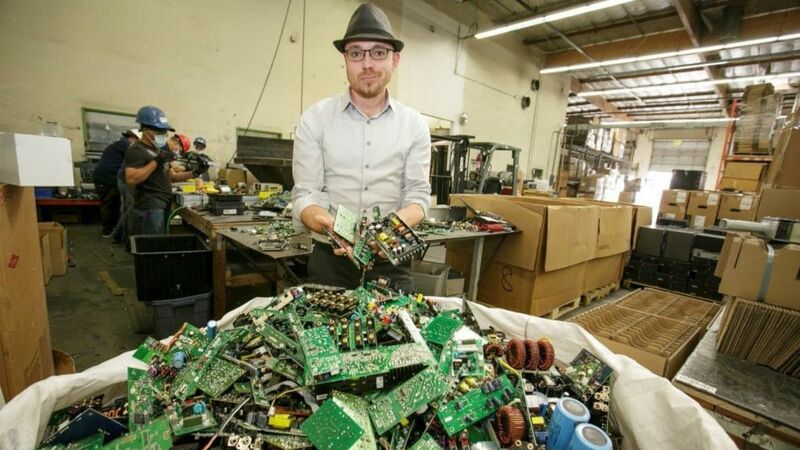 His Chatsworth company, IT Asset Partners, processes more than 41 million pounds of e-waste each year and counts IBM, Motorola and Sprint among its clients.